Difference between career graph of core jobs vs IT jobs - Can anyone share a long term view? Many people say that young generation these days does not think about the long term. Most of my seniors are opting for either MBA or IT jobs because they want to play it safe. If making a lot of money is something that we take into equation, many of my friends and relatives believe that core jobs for mechanical engineers pay off FAR better than IT jobs in the long term. I don't think there is any concrete information available on this topic. What do you say guys? Can anyone throw some light on a typical career graph of a core job guy and an IT job guy? What should one pursue if he/she is to decide on a career path (depending on the amount of money one can make in the long run? I don't think there are defined career graphs these days. I've friends working in core engineering companies - designing boilers, machines and many who're in IT - writing software, creating tests, working in networking and so on. Also, making money is a totally different question and it doesn't have a direct relationship with the career graph. It'd be safe to assume that as you make progress in your career, your earnings go up; but not in linear fashion always. For Core Engineering Careers - my friends have been in technical and senior technical roles. Their work evolved from assisting senior engineers on various design and fabrication projects to being in-charge of those. They get paid "decent", but nothing extra-ordinary or out of the world. I'd say the pay they get is at par with the IT industry; but as I said - the pay depends upon several factors and there can't be a comparison without the median data across job profiles. for IT Careers - the career growth involves writing smaller modules / tests to leading a team and still doing technical work and then getting promoted to team management and project management roles. But I can tell you for sure that none of them are actually content with their jobs. Most of them are looking for change of roles or organizations for better salaries. Some are looking for executive MBA programs as they open up an extra opportunity to find a job in a totally different, non-technical profile. How should one decide on the career path? You can't; unless you are absolutely sure what you want. For most of the people, the answer is "money". If someone is jobless, their first priority should be to find a job that pays them for trading their skills and time. Then, I think the next task is to keep finding a good job and company that you really love working for - and then continue to excel in it. That's the only, sure-shot way of making good money in the longer run. If someone's sure of remaining in the technical domain; they should aim to build expertise in their domain - because that'll ensure their growth in the organization. I hope this answer makes sense. meaning: A contented mind is a gold spinner. As they say, in the end we are all dead. In my opinion job satisfaction should be the only criterion that should be used in choosing a career. Speaking personally, this is my sixtieth year of continuous work in core multidisciplinary engineering. Enough money for a middle class living, often hard, frustrating at times, elation too, and totally soul satisfying. I would not change it for a conventional ‘successful’ career. 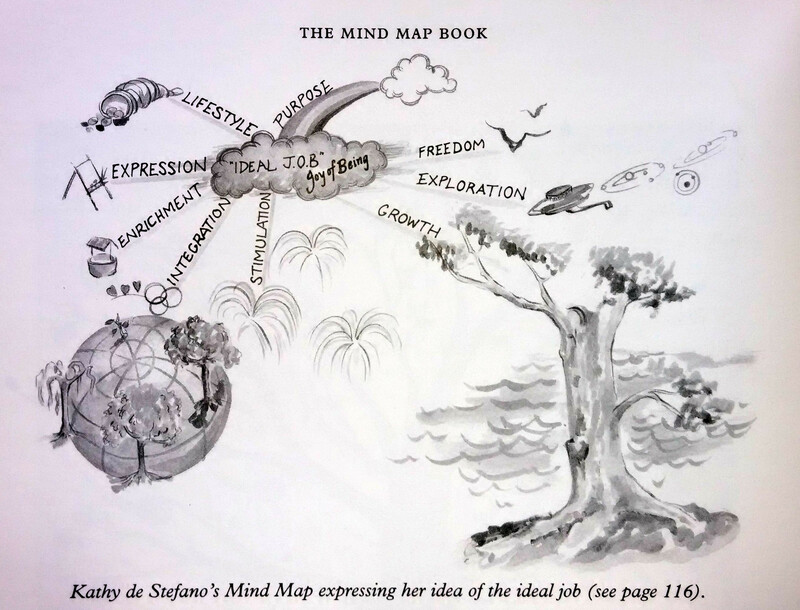 I use Tony Buzan's mind mapping a lot. Found this in his book: 'The Mind Map Book'. Gives an idea of one person's concept of an ideal job. What wonderful answers sir. I am grateful to the lord for letting me find this community. 😊 Feel truly blessed. I will forward these answers to my friends. Thanks!